Camp RZR is an annual event that takes place at the Glamis Sand Dunes in Southern California. Thousands of off-road enthusiasts attend the event sponsored by Polaris RZR as the season kickoff for dune riding. Glamis, or the Imperial Sand Dunes, is one of the largest dune complexes in North America stretching 1,000 square miles with over 150,000 acres of OHV riding. If you love the dunes, love side by sides and enjoy hanging out with other SxS enthusiasts, you’ll love Camp RZR. Assault Industries was just one of many aftermarket parts and accessory vendors to attend Camp RZR 2018. The team at Assault put together a great dune ride video featuring their Can-Am Maverick X3 XRS Max and Polaris RZR XP Turbo S equipped with Assault Industries UTV products. This video illustrates just how vast the Glamis Dunes are; if you’ve never been, we recommend putting this riding area on your bucket list. 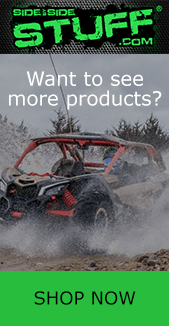 At Side By Side Stuff, you can find a wide selection of aftermarket UTV products for a variety of machines from Assault Industries. Shop today by visiting our Assault Industries brand page.